It’s back! Fort William Historical Park’s amphitheatre will rock once again as it hosts Fort Fest; a community music festival taking place July 15 & 16. Taking the stage will be The Cult, Starship featuring Mickey Thomas, Platinum Blonde, Sass Jordan, Cinderella’s Tom Keifer, The Trews, 54-40, Helix, Doucette plus a variety of local talent. Tickets go on sale April 25, 2016 at 9:00am! Two-day festival pass only $60 until July 14th. Fort Fest is a two-da y music festival; gates open Friday, July 15 at 5pm and Saturday, July 16 at 12pm with entertainment to 11pm both nights. Nightly 25+ After Parties to follow at the David Thompson Astronomical Observatory from 11pm-1am, $10 per night. Weekend RV camping will be available from $35+HST per night. Fort William Historical Park RV rentals are available for $150+HST per night. Two night minimum stay and festival pass required for camping during Fort Fest weekend. 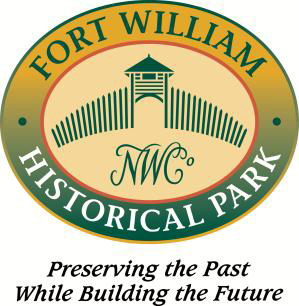 Fort William Historical Park’s historic site will be fully operational for guests to enjoy throughout the festival weekend. Make your reservation today by calling 473-2344 or visit www.fwhp.ca for more details.